This house dates from the first half of the 18th century. 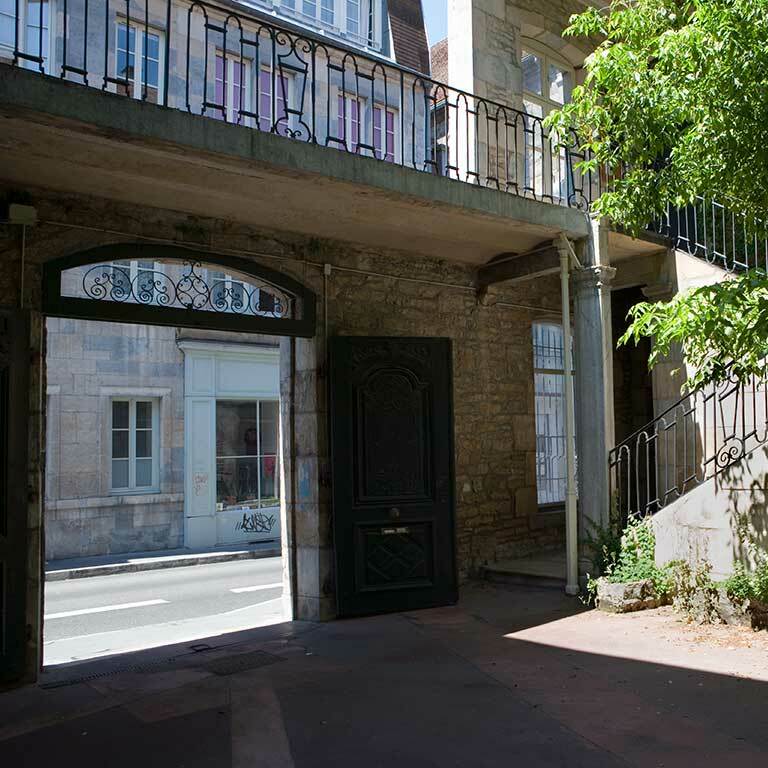 It was built on a long, narrow plot, which explains why the two dwellings are perpendicular to the street and surround the courtyard. 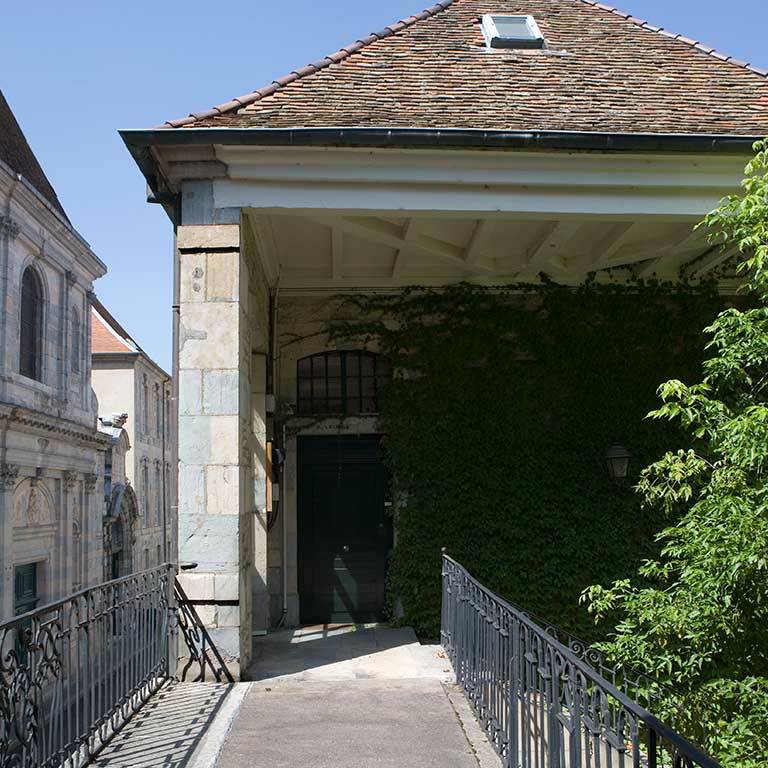 An outside staircase, protected by a roof, serves the house on the left, and a passageway above the portal on the street wall serves the second dwelling. 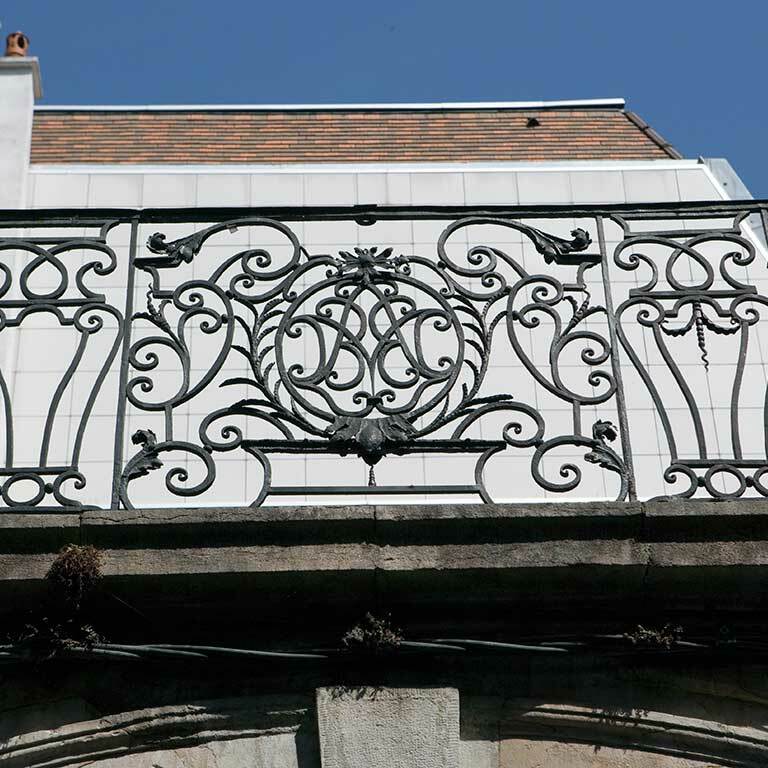 The wrought ironwork, used for the stair railing and that of the passageway, decorated with the monogram of the owner, enlivens the austere facades. Rue de la Préfecture is the result of urban planning from the years 1770-1780; it connected the new seat of the French “Intendant” (an administrative official serving a monarch) built along rue Neuve (now rue Charles Nodier) to Grande Rue. It was first called rue de la Traverse, and was later named rue de la Préfecture, referring to the democratic version of “Intendant”.